Whilst we’d all love a huge home with ample amounts of space and storage, the fact is that most of us will have at least one room in our home that’s a lot less spacious than we’d like. But the good news is, whether your bathroom feels boxed in, your kitchen is contained, or your bedroom is a little boxy, there are plenty of ways you can make a small room feel a lot larger than it actually is. Drawing the eye upwards makes any room look and feel a lot bigger, so make use of all the height you have in your room. A great way to do this is to make use of your ceiling space – paint or wallpaper it to make it a point of interest. Another way to do this, and also inject some extra storage into your space, is to hang shelves close to the ceiling – they’re great for storing books and other items whilst also helping to make your room feel more spacious. And, whilst we’re talking about wallpapering and painting, when it comes to decorating your walls and floor, you should always opt for lighter colours in smaller spaces. Yes, we know that warm, dark colours make a space feel nice and cosy but, trust us, they won’t do anything for making your room feel more spacious – in fact, they actually absorb light, making the space feel smaller. And anyway, there are plenty of other ways to make your living space feel cosy and welcoming. In a small room, it’s always advisable to leave your windows uncovered as curtains can make everything feel even more crowded than it is. Removing your curtains will also let in more light which, as we all know, equals more space. Of course, if privacy is an issue, why not frost your windows? There are some great frosting options on the market that will allow you to quickly and affordably transform your normal glass windows into frosted glass. Mirrors increase light, which in turn increases space. So if your room is on the smaller size, we’d always recommend some strategically placed mirrors. Positioning a mirror opposite a window will reflect optimum amounts of light and make the room feel larger. Alternatively, why not position a larger mirror behind a trunk or side table to create the illusion that the room continues on beyond it? Multi-tasking is a great way to create extra space in a room – and we’re not talking about you, we mean your furniture! Choosing pieces that perform two jobs – for example a sofa with built in storage or a coffee table with a pull up desk – will save you space and make even the smallest of rooms so much more practical! 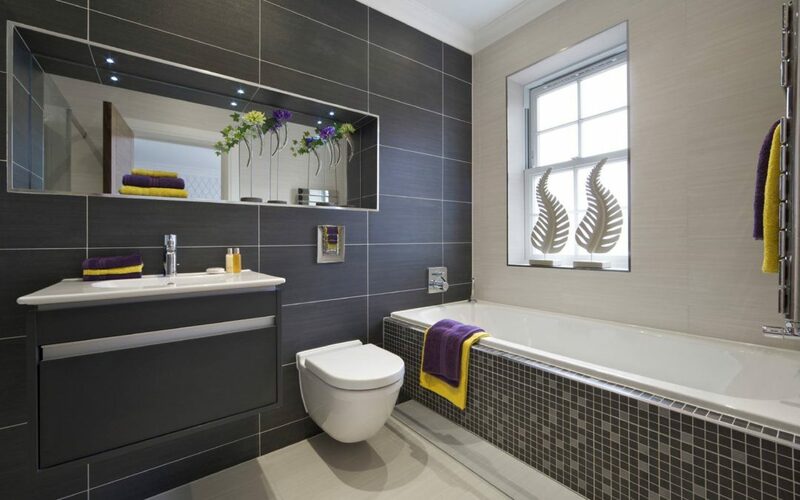 Here at Kenneth Installations in Glasgow, we can help you with a range of interiors services, including bathroom and kitchen installations and fitted storage. If you have any questions about any of our services, our friendly team is always on hand to answer any questions that you might have.